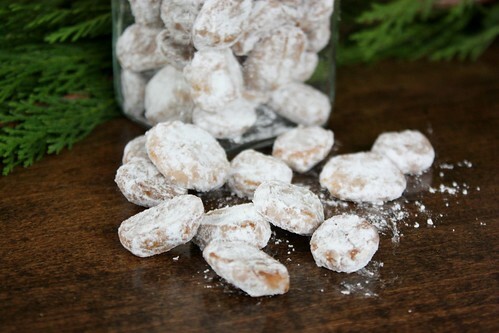 Inspired by all the yummy European cookies at the Toronto Christmas Market, as well as the Christmas treats we saw on display at Black Creek Pioneer Village, I knew I wanted to make a simple spiced cookie this year. 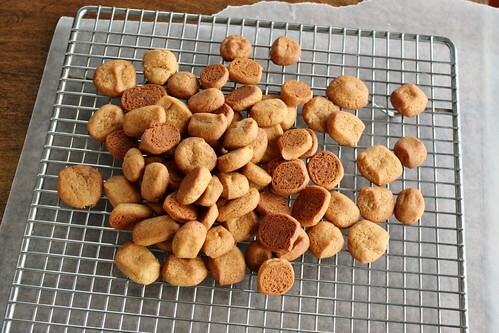 Pfeffernusse cookies are a traditional German treat, but there are many versions from Denmark and The Netherlands as well. 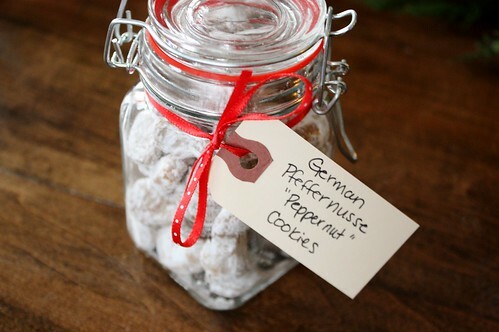 Pfeffernusse or “Peppernut” cookies get their name from two things. First, the “pepper” comes from the freshly ground black pepper you put in these cookies. Yes, I’m talking about real pepper. It gives the cookies an extra bit of heat. The “nut” is because these cookies have a small nut-like shape and you eat them by the handful like you would nuts. These cookies take awhile to make but they last for a month in an airtight container, making them a great holiday cookie. 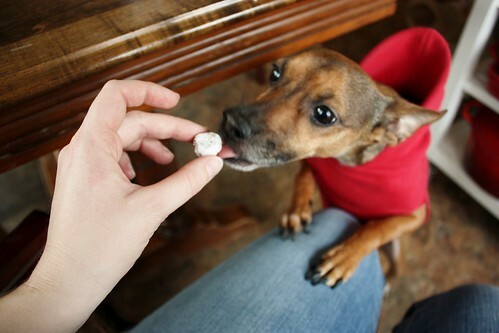 Whiskey was happy to try an itty bitty one as a taste tester. I packaged up glass jars of the cookies with cute little tags to give to our friends, family and neighbours…and of course we kept a little jar for ourselves. 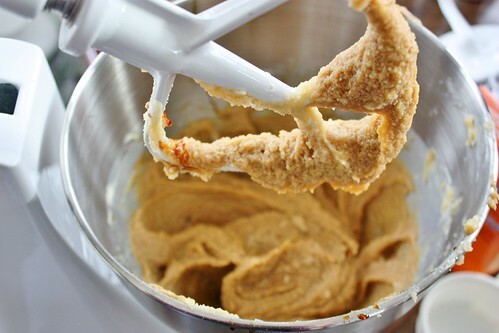 Using a stand mixer or hand mixer, whip butter until light and fluffy. Add in sugars and egg and beat until incorporated; then add in molasses. In a large bowl, combine flour and spices. 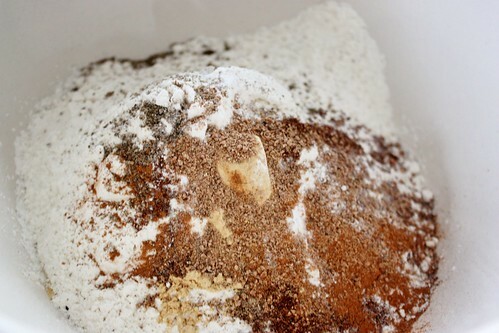 Add the dry mixture into the creamed mixture and mix until combined. 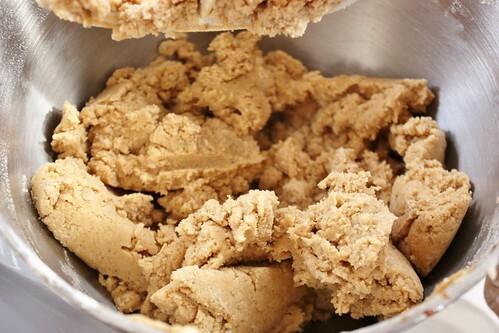 Place dough in the fridge for at least 30 minutes. Cooler dough will be easier to work with. 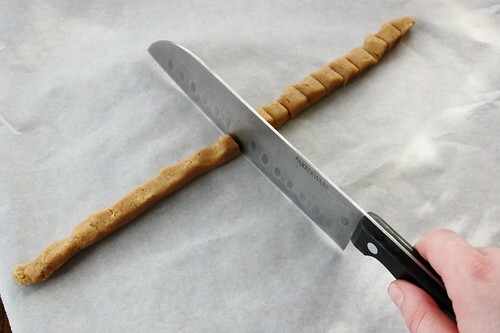 Roll some of the dough into the thickness of a pencil and cut into ¼" pieces. 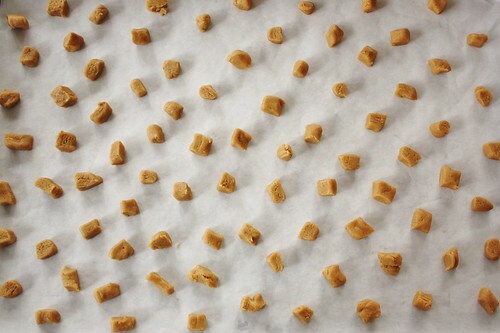 On a large parchment lined baking sheet, evenly space the tiny cookies. Bake at 350°F for 5-7 minutes or until lightly browned on the edges. They will firm up a bit as they cool. 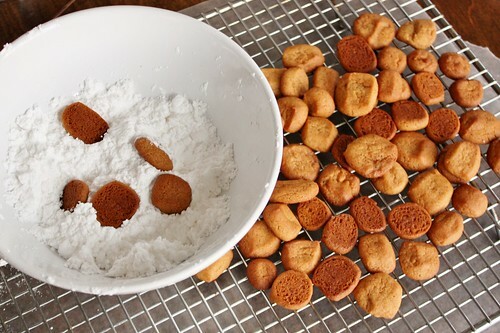 Allow cookies to cool on a drying rack for a few minutes until just warm to the touch. 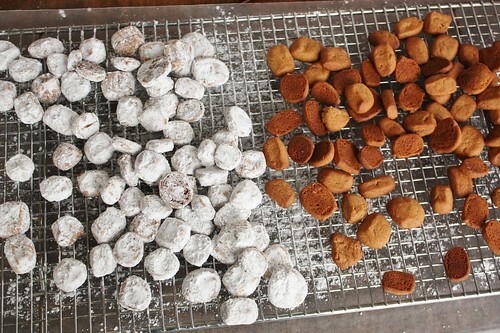 In small batches, add the still-warm cookies into a bowl of powdered sugar and toss to coat. 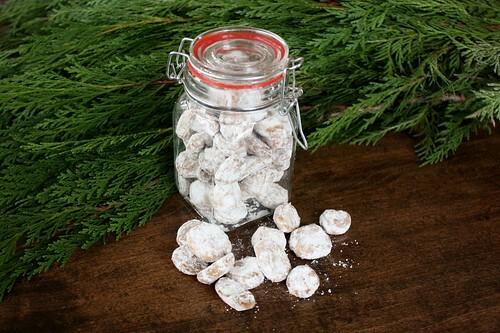 Let powdered cookies continue to cool on a drying rack and then store in an air container for up to one month. In a large bowl, combine flour and spices. Add the dry mixture into the creamed mixture and mix until combined. Place dough in the fridge for at least 30 minutes. Cooler dough will be easier to work with. Roll some of the dough into the thickness of a pencil and cut into 1/4″ pieces. Allow cookies to cool on a drying rack for a few minutes until just warm to the touch. 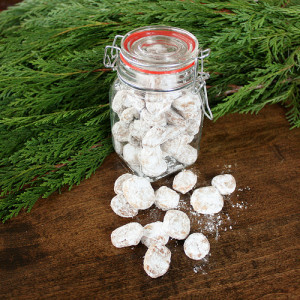 In small batches, add the still-warm cookies into a bowl of powdered sugar and toss to coat. 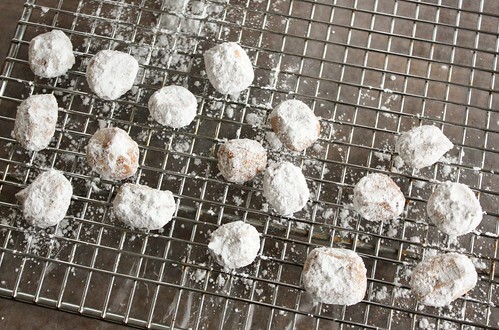 Let powdered cookies continue to cool on a drying rack and then store in an air container for up to one month. It was a real toss up whether I should coat them all in the powdered sugar or keep some of them plain – I just love the toasted brown colour of spiced cookies. Package these up and share them with your loved ones this holiday season!